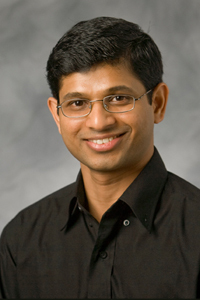 I am an Associate Professor in the Department of Computer Science at Duke University. My primary research interest is in making data-intensive computing systems easier to manage. Recent work from my research group has focused on the Hadoop MapReduce system. Check out our Starfish project. I am very interested in using cloud platforms for online experimentation to aid system tuning and testing. The vision of our Flex project is to enable users---irrespective of whether they are end-users, developers, or system administrators---to have programmatic access to collect information needed for system testing and tuning through planned experiments on the cloud. The DIADS project tackles integrated problem diagnosis for database systems running on networked storage as well as automated detection and recovery from data corruption caused by hardware faults, software bugs, or human mistakes. Our work is supported by startup funds from Duke, grants from the US National Science Foundation, faculty awards from IBM, an equipment grant from IBM, and resource usage grants from Amazon Web Services. I gave a talk at the Spark Summit 2015 on Simplifying Spark Application Development. See slides and video. I gave a talk at the Hadoop Summit 2015 on tuning Spark applications. See slides and video. Ques: Querying and controlling systems (ongoing). DIADS is a subproject of Ques. CPS 49S: Google: The Computer Science Within and its Impact on Society, Spring 2007 and 2008. This class got some press, e.g., the Duke News article and the Duke Magazine article.